Last year at the ALC, we were lucky to have the ability to offer new courses. Some of those courses were the different aviation classes. We were even more lucky to get Mr. Mark Halls to teach these courses. Mr. Halls is one that the students really connect to and who is very engaged in his students learning. 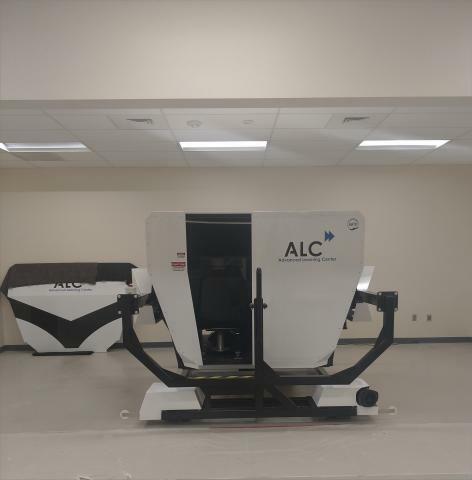 With the fun arrival of the new flight simulator that was delivered close to the end of last school year, the Aviation department has "taken flight", and is now the newest and greatest class that most of the students want to be a part of. This year Mr. Halls is teaching Aviation History, Air Transportation, Drones, and Private Pilot classes. It is fun to walk by his classroom and see the students in the simulator or getting ready to learn about the drones. We feel very lucky to have Mr. Halls as part of our ALC team, and the students feel lucky as well.